When my wife and I got married, more than twelve years ago now, we were convinced that we would have a happy life together. Our courtship was exciting, and our wedding day was a dream. Little did we know that a switch flipped in both of our heads on the day we said “I do.” Indeed, the very next day—the first full day of our married life—my wife and I would begin taking each other for granted. It’s only in looking back that I can understand what happened early in our marriage. At the time, the change was so gradual that we didn’t even notice it. Before our wedding day, our focus was each other, having fun, and building our love. After our wedding day, our focus began to shift. Without realizing it, I viewed our wedding day as the finish line in the courtship race, and I had won the prize: my wife’s love. It was about six months into our marriage when I discovered that we had actually lost something when we said our vows. As each month of marriage passed, the slow decline in our relationship continued. I still couldn’t figure out what we were doing wrong, and though we weren’t yet at a terrible place, I looked to the future, and I did not like what I saw. I called three friends of mine, all of whom had been married for more than twelve years. I thought they all had good marriages and would be good people to get advice from. My first friend urged me to get over it. No one is happily married, he said. My second friend explained to me that this is what happens in marriage: The initial passion fades away, and you end up bickering for the rest of your lives. My third friend told me the key to surviving marriage was to have low expectations—very low expectations. Devastated by my friends’ advice, I feared that I had ruined my life by getting married. But my marriage took a turn for the better when I was asked to teach Pre-Cana, a course of marriage consultation that couples must undergo before they can be married in a Catholic church. My initial reaction was: Are you crazy? I’m not suited to teach this. But in the end I accepted the challenge. This was a game changer for our marriage. As we did our homework to prepare to teach the class, my wife and I felt the trend of our marriage shift in mere days. 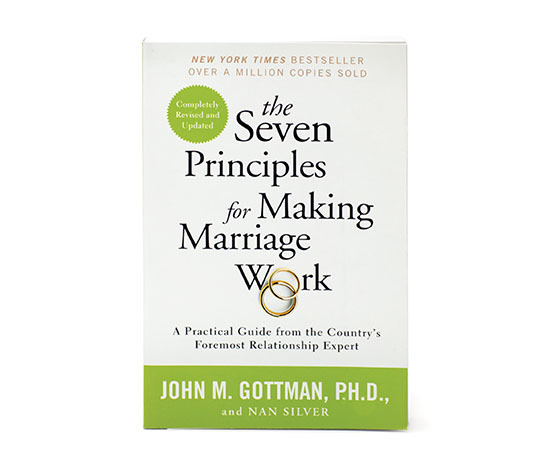 Research by marriage specialists such as Dr. John Gottman, author of the book Why Marriages Succeed or Fail, and Bill Doherty, professor of Marriage and Family Therapy at the University of Minnesota, provided practical suggestions for how to strengthen marriage, which were simple enough that we were able to easily apply them to our marriage. In a life-changing talk, Doherty makes an important point about marriage. He explains that the natural trend of marriage is for romance, affection, appreciation, and communication to decline over time, not because couples start to dislike each other but because they become too comfortable together. Doherty explained that it is important to choose the right person, but it is also important to have a strategy to stay happy. His big phrase is “the intentional couple,” by which he means you need to be aware of what you’re doing, and you need to have a plan to nurture the positive in your relationship. Couples with marriages rich in habits, rituals, and traditions will be better suited to avoid the trap of taking each other for granted and will keep the positive side of the relationship nurtured over time. Here are three important rituals that saved my wife and I from taking each other for granted and drifting apart. 1. Create a habit of reunion every day. According to Doherty, the most important moment in your marriage is the moment of reunion—it’s how you greet each other. If you consistently greet each other well, you will look forward to seeing each other. If you are inconsistent about how you greet each other, you can lose that sense of excitement. If you criticize each other at the moment of reunion, you can become fearful of seeing each other. In need of a daily ritual in my own marriage, I remembered something my parents did that had made a strong impression on me when I was a little boy. My parents did it very rarely, but occasionally after dinner my father would ask my mother to dance. I made a commitment right then and there to dance with my wife whenever I greet her. Now the first thing I do when I get home is to find her, and tell her, “I have to dance with you.” On days when I work too late, or am traveling without her, I make up for the missed opportunity by sending my wife a video kiss from my iPhone. Once we even danced via Facetime. The consistency of greeting each other well has completely transformed our marriage. Every day of our marriage has romance and affection in it, and my wife and I are always excited to see each other. 2. Set aside two minutes of undistracted communication every day. Gottman has found that two minutes of undistracted communication can be more important than spending a whole unfocused week together as a couple. Even though I am not a morning person, I resolved to wake up a little earlier each day and have breakfast with my wife. Having breakfast is not our morning ritual, as Gottman has found that even the food you’re eating is a distraction. It’s when we are finished eating that I slap my knee and invite my wife to sit on my lap. We then ask each other what our days will be like. Right from the beginning of the day, we have a ritual to nurture the romance, affection, and connection in our marriage, and we have found that this feeling persists throughout the day. Two minutes of non-distracted communication, while dancing at the moment of reunion, serves to refresh this daily connection. 3. Practice an appreciation ritual every day. Sadly, couples tend to take the good in each other for granted very quickly—and can even stop noticing the good that the other is doing—while focusing more and more on the petty failings of the other. Inspired by the research of Gottman, we began to incorporate an appreciation ritual into our daily lives. We’ve learned to say thank you throughout the day. And we end each day before going to bed by sitting together, with the computers off, and thanking each other once again for all the big and small things we’ve done for each other that day. When we first started this ritual, we were stunned to realize how much each of us was doing for the other during the day. I had become so focused on my petty complaints about my wife that I had forgotten what a good wife she was. Our thank you ritual to end the day has helped us become much more tolerant of each other’s failings. Most couples allow their marriages to decay slowly over time, often without realizing it. But this wasn’t my marriage’s fate, and it doesn’t have to be yours. Daily rituals keep the sense of connection strong in marriage and assure that romance, affection, and appreciation are a part of your married life every day. This article was originally published on Verily and republished with permission. 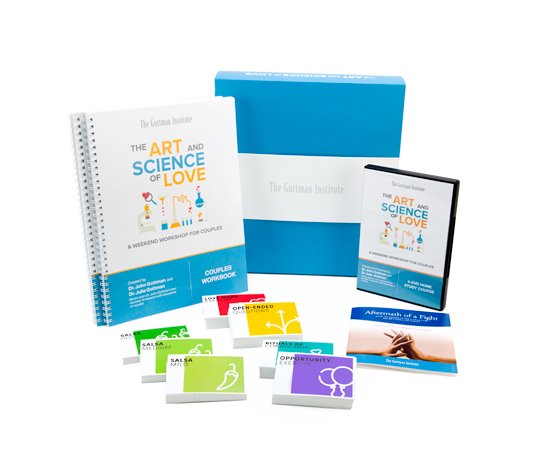 The Gottman Institute would like to wish you all a very Happy Valentine's Day! In the holiday spirit, we've posted 20 short and sweet Love Map Questions onour Facebook page. Today, we share some scientific specifics on stonewalling.